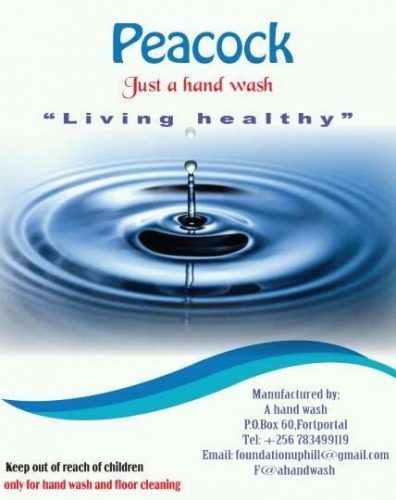 Did you know that only 0.05% of Ugandan rural school children have access to hand washing facilities? 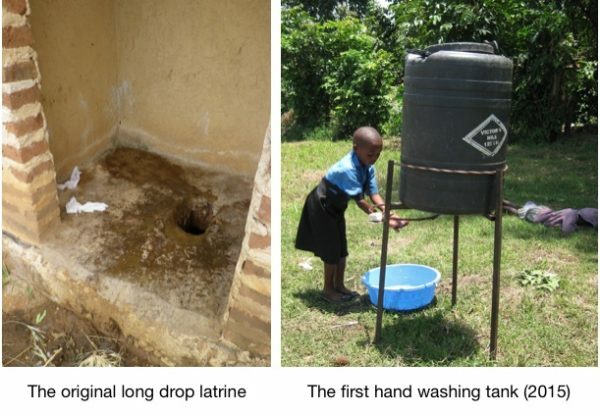 This means that over 99 % of rural school children do not wash their hands after using the latrine. 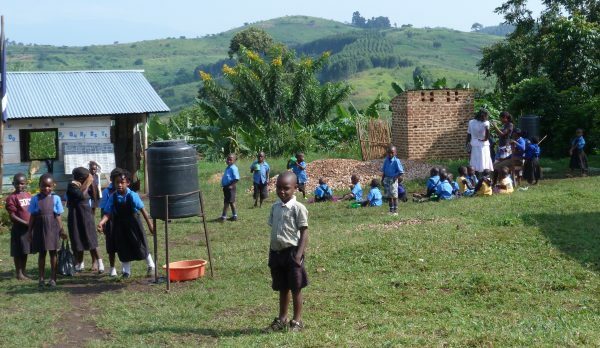 Did you know that only 30% of rural schools clean their latrines with soap every day? Did you know that over 90% rural school children eat their lunch at school without washing their hands and no one is bothered? These figures make worrying reading. I was made very aware of this problem when I first visited Uganda in 2015. At that time Uphill Junior School was just a couple of wooden huts for classrooms and one small building housing the very smelly, fly ridden, long drop latrine. The only water on site was from one water collecting tank and the yellow jerry cans of water which were being brought from the village well. That was it and none was used for hand washing. 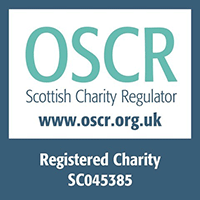 When I returned from that trip and found I’d brought back a tummy bug, I immediately set about organising funds for hand washing tanks along with soap and disinfectant. I wanted this to be available every day at Uphill and we managed to put this into place. Hand washing has become the daily routine for the children and staff throughout the school. I was delighted that at the school inspectors’ next visit they were extremely surprised to see this facility and gave the school a big thumbs up. Now some three years later, Shalot, the wife of Uphill Junior School’s director, Elius, is able to do something to help too. Her new enterprise is making liquid soap and promoting the hygiene and sanitation ideas that raise awareness of the problem. Her soap is for hand washing and cleaning but she has ideas to make shampoo in the future. 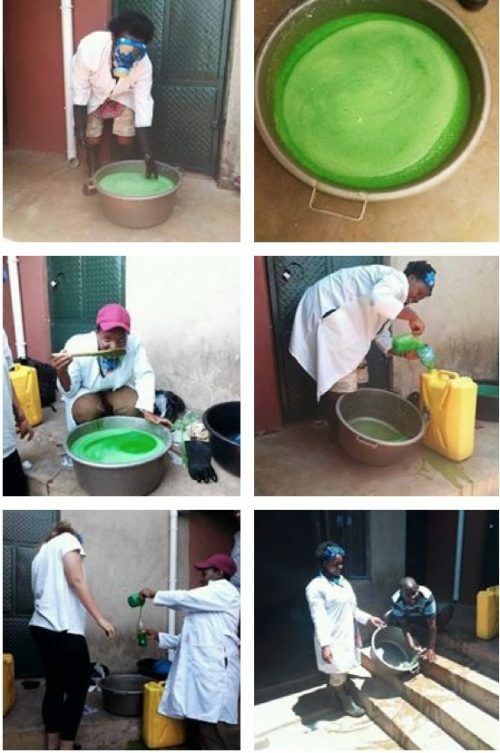 Here she is making a batch of liquid soap in her small home production space and demonstrating to some visitors. The new hand wash is called Peacock. Shalot’s vision is to promote her project to the whole of Uganda by 2025 starting with a Hand Wash ambassadors summit in her local area in November 2018. Wishing you every success Shalot.